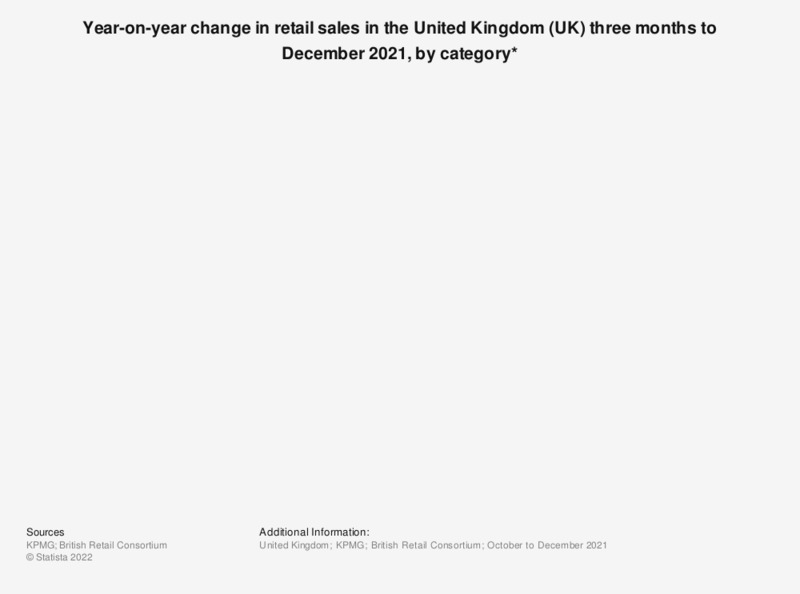 This statistic presents the year-on-year change in total retail sales by category in the United Kingdom (UK) as a three month average from May 2018 to July 2018. Overall, non-food retail showed a 1.2 percent increase compared to the previous year's statistics. * Growth in total value of retail sales (spending), three month weighted average (May 18 - Jul 18). The source adds the following information: "The BRC KPMG Retail Sales Monitor measures changes in the actual value (including VAT) of retail sales, excluding automotive fuel. The Monitor measures the value of spending and hence does not adjust for price or VAT changes. If prices are rising, sales volumes will increase by less than sales values. In times of price deflation, sales volumes will increase by more than sales values."